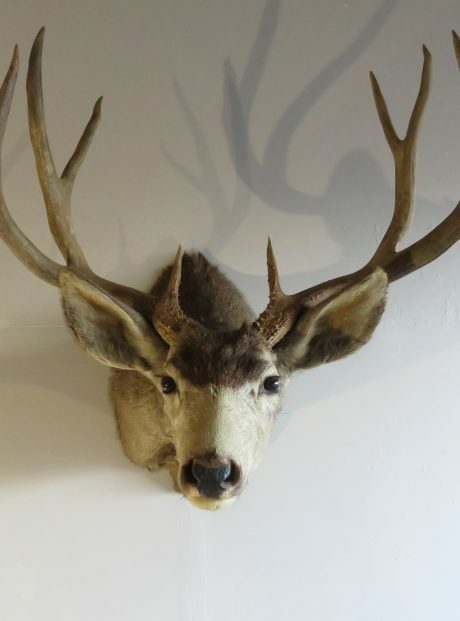 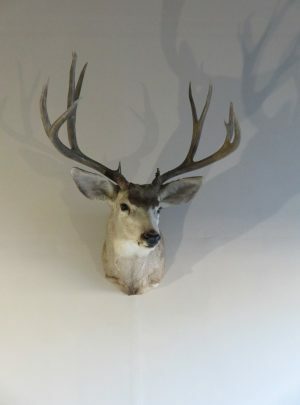 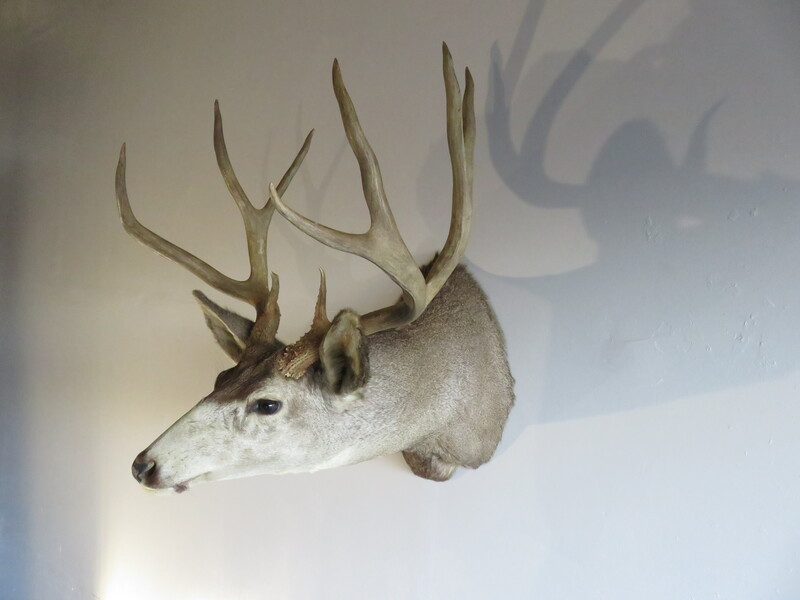 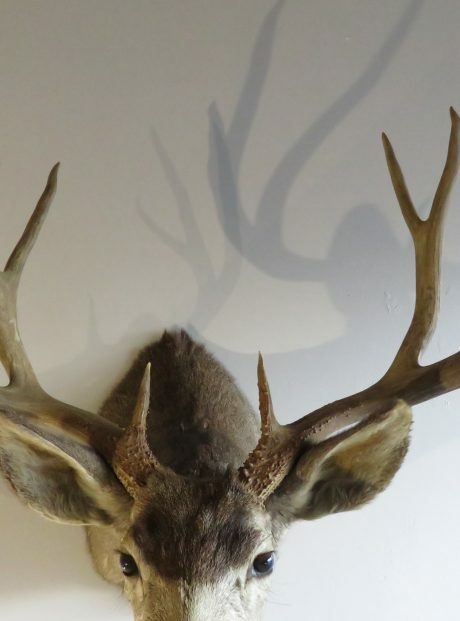 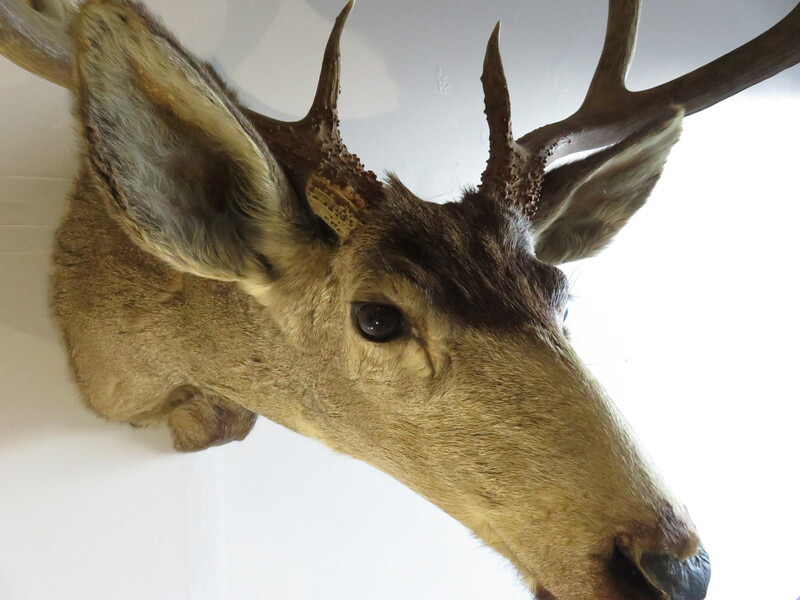 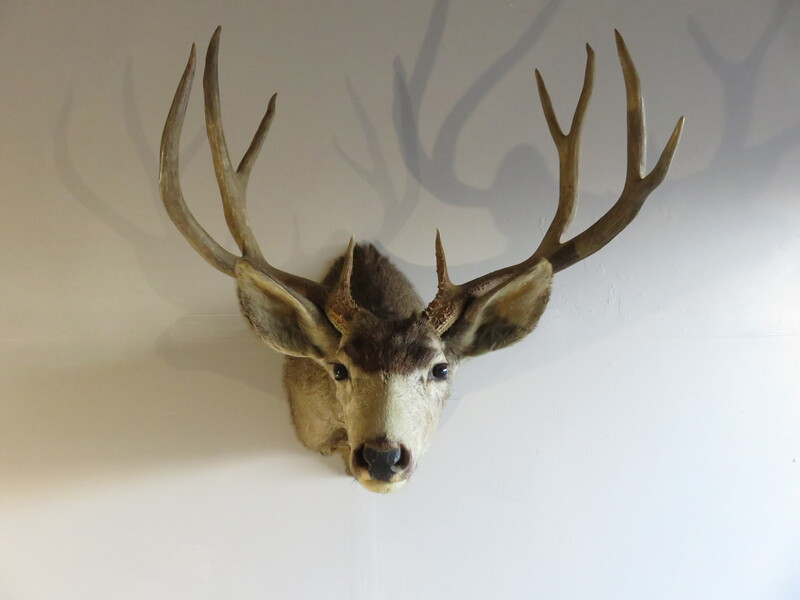 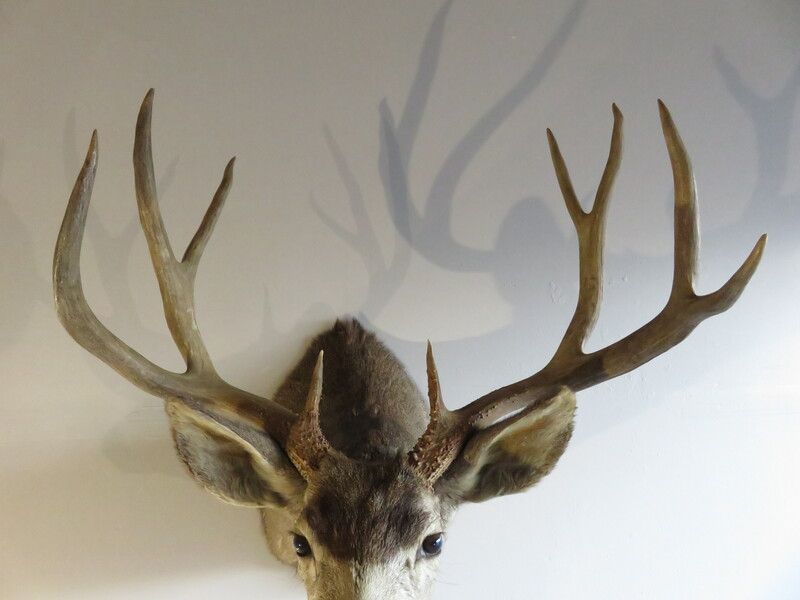 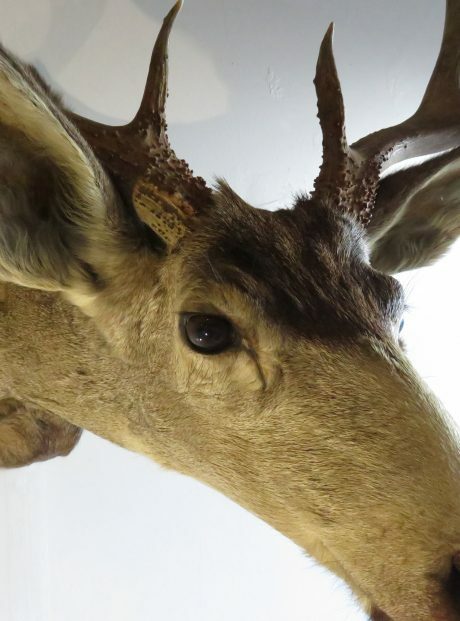 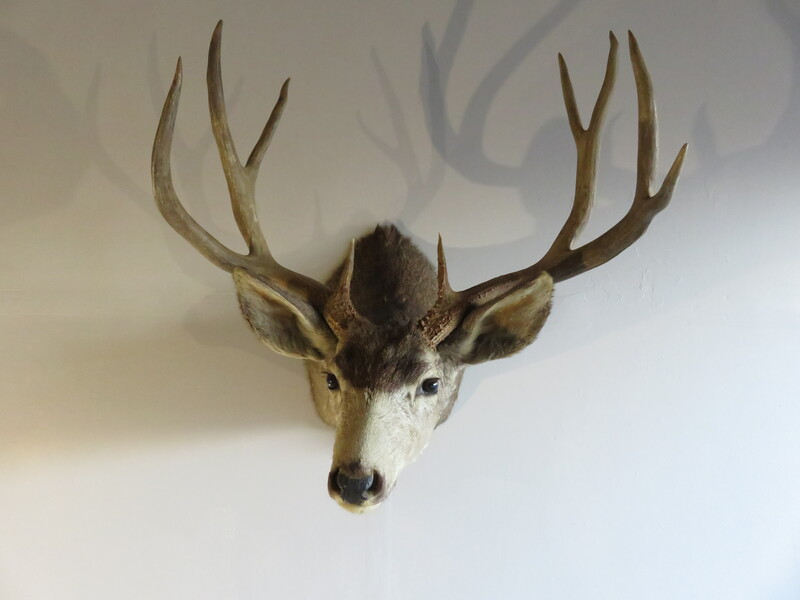 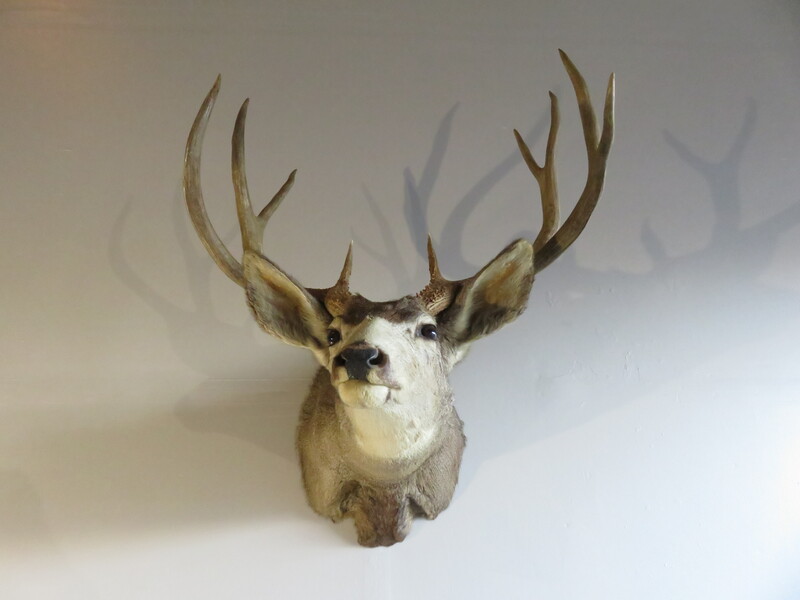 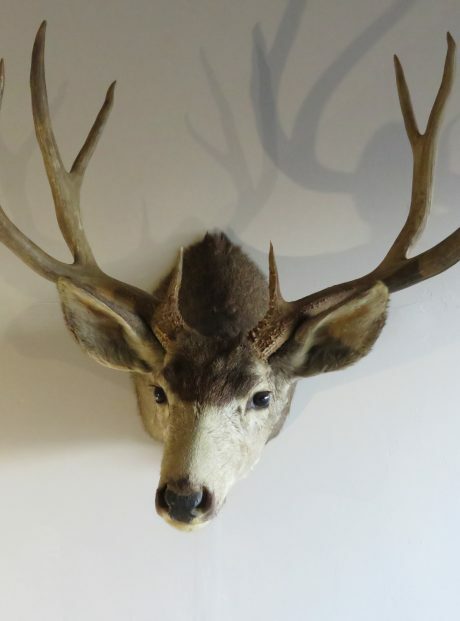 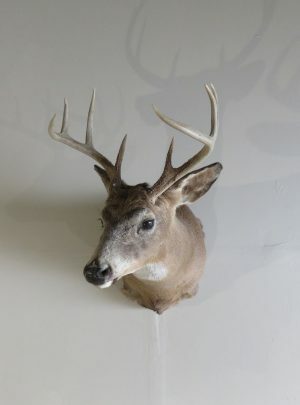 This 4×5 (9 point- Eastern count) Mule deer is in the “sneak” pose facing to his right into the room. 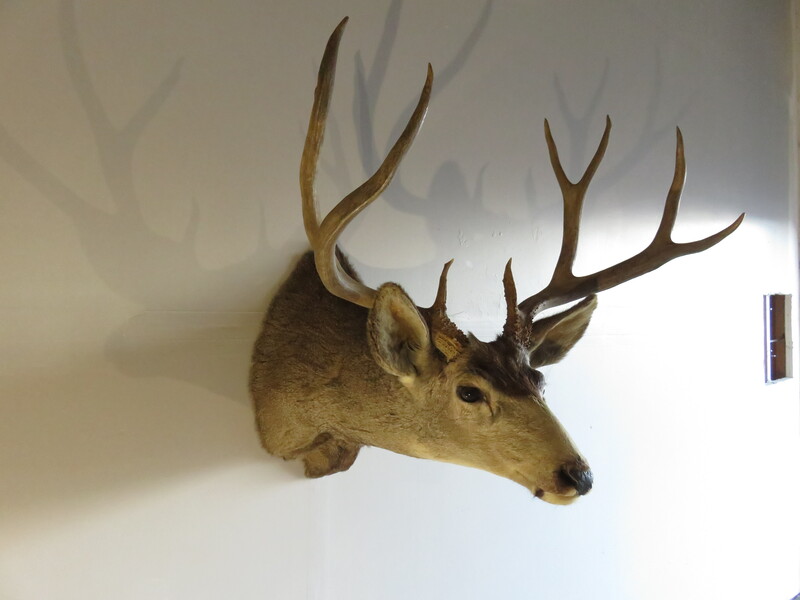 A great, heavy rack that has a lot of width at 26″ outside. 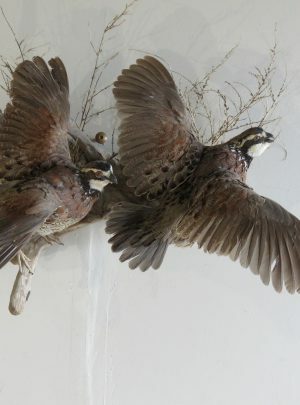 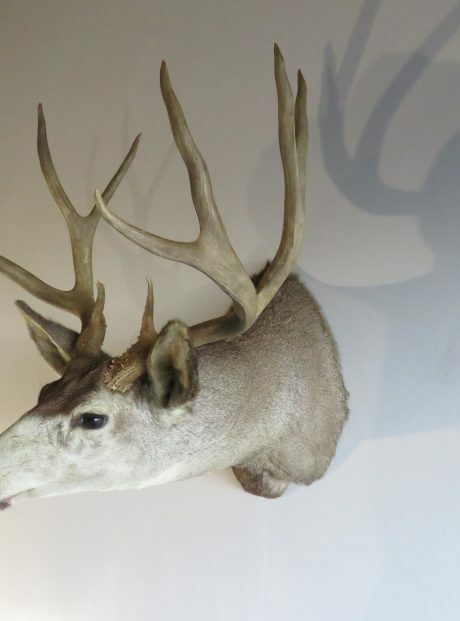 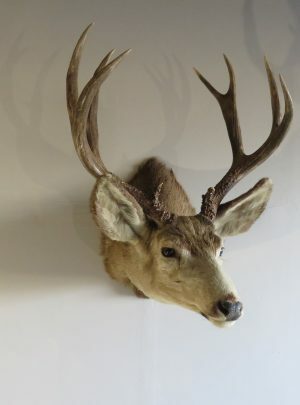 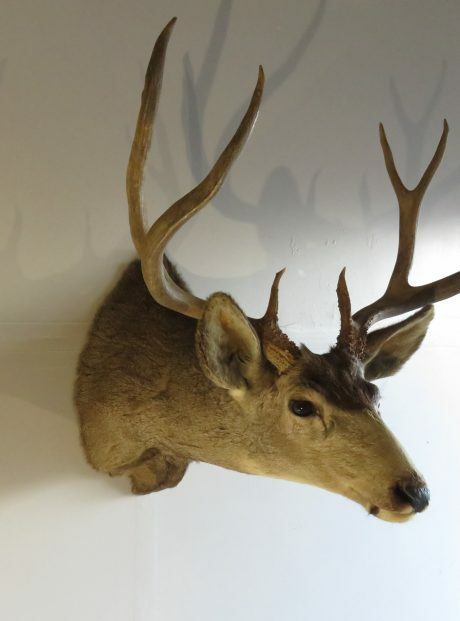 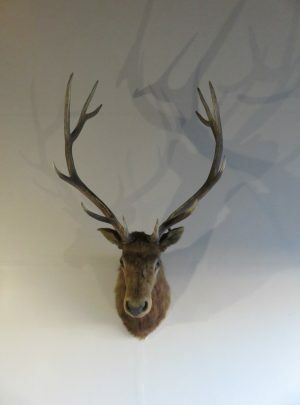 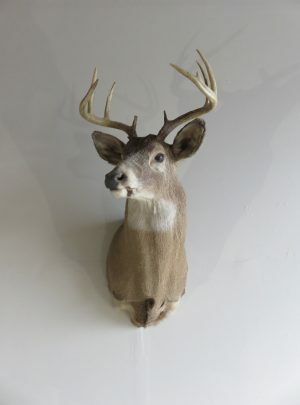 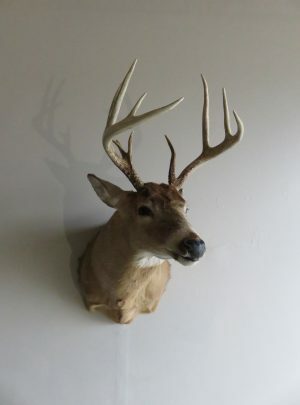 A very nice example to add to the collection of North American big game or as a stand alone trophy for the home or office. 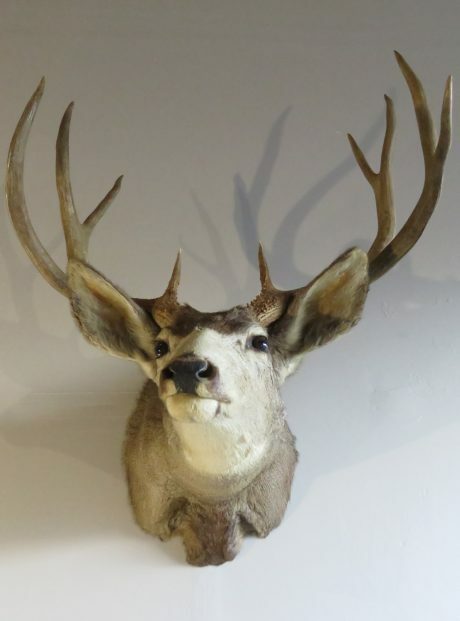 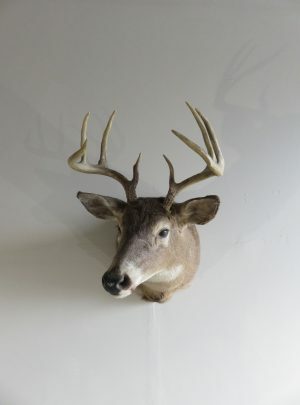 Overall mount dimensions are: 30″Deep (wall to nose) x 26″Wide x 31″High (chest/nose to highest tine).